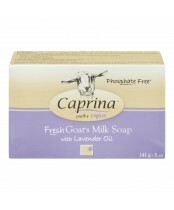 Caprina soap contains fresh goat’s milk, a natural and highly effective skin moisturizer. Caprina by Canus Fragrance Free Fresh Goat's Milk Soap delivers all the benefits of the original formula soap, without the scent. It’s ideal for people who love our fresh goat’s milk soap but are sensitive to some ingredients. 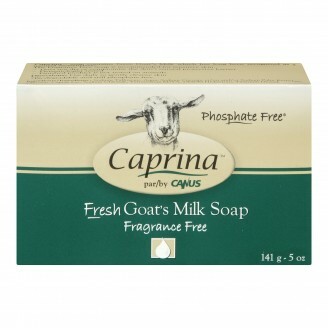 Caprina soap does not compromise your own skin’s natural protective barrier, and will never dry your skin.